When it comes to spies I love the idea of "average person, dangerous situation." It gives an author the chance to create a story that weaves in thrilling drama into situations that a lot of readers can relate to, because it incorporates something that happens in their daily lives. The train ride run amok, the family member that suddenly reveals a secret, the co worker that lives a double life. All of these things occur in the real world. Thriller writers take the moment and add a "what if?" question. From there the story takes off. A lot of thrillers use this theme, but what makes it so compelling is the way that the stories can be fresh every time. Who hasn't had that moment in their lives that something unusual happened? That right place/right time that ends up being an interesting story? I love classic books and movies, and there are quite a few accidental spies that populate them. The movie North by Northwest gave director Alfred Hitchcock the perfect set up for an accidental spy. A Mad Men type advertising executive is mistaken for someone else and soon finds himself running from just about everybody. He's compelled to solve the puzzle to save his skin. What I also love about the story is how the danger changes him. He becomes a more serious, deeper person after the experience. The hidden strength theme is present in a lot of accidental spy novels. The spy often masquerades as a dandy, or someone that others overlook as too insubstantial to be worth notice. In The Scarlet Pimpernel, Percy Blakeney is a dandy and a fop, which causes others to overlook his actual substance. Likewise, The Mask of Zorro carries the same theme of a gifted swordsman and spy masquerading as an effete dandy to divert suspicion. The "spy in fop clothes" has some parallels in real life. In early France, a famous spy cross dressed as a woman for most of his life. The Chevalier d'Eon was a member of Louis XV's Secret du Roi, a secret group of spies that infiltrated various governments. D'Eon infiltrated Russia by dressing as a woman, at the time only women were being allowed into the country, and conspired with other French spies to overthrow the Habsburg monarchy. D'Eon spent many years cross dressing and died wearing a dress. There have been a few tales of actual accidental spies and overlooked meek individuals in American spy history as well. One of the most famous is Quaker woman and spy Lydia Darragh. When the British occupied Philadelphia, they stationed soldiers in private homes throughout the city. British General William Howe convened a group to discuss an upcoming attack on Whitemarsh on the 4th of December, 1777, and he made the mistake of doing so from Darragh's living room. While the soldiers listened to the upcoming battle plans Darragh did, too. She made notes, stuffed them into a book, and ran to a nearby pub, where she gave the book to a man in charge of prisons. He discovered her notes and took them to American headquarters. After their defeat, British spy Major Andre said that someone surely had given notice to the Americans and that the "walls must have ears." Not walls, but women. Howe's arrogant assumption that women were not worth noticing cost the Brits dearly that day. Never underestimate the power of a woman! Great post, Jamie! I especially love learning about Lydia Darragh. Women have been incredibly effective spies, because we are so often ignored and invisible to the men who have been in power for most of history. Thank you for this post. Yes, they have often been overlooked, but quite effective. Glad you liked the post! I hadn't known about Lydia Darragh, Jamie. Thank you for such a wonderful story. Her bravery is inspiring. There are moments being "invisible" can be useful, and she took advantage of it. Thank god the Brits sent Howe. What a brute, and an idiot. Great post! "They seek him here, they seek him there, those Frenchies seek him everywhere..." Thanks for the blast back to my past, Jamie, with the Scarlet Pimpernel! Yep! Lydia saves the day! Loved that little bit of history (And Francine-the Richard E Grant BBC version of Scarlet Pimpernel was wonderful). Oh Jamie, what great stories to review and think about. I loved North by Northwest and the Scarlet Pimpernel - but like others, I did not know about Lydia Darragh and her bravery way back in 1777....what a terrific woman she must have been. Now that many talented authors are researching and writing about female "heroines" both historic and contemporary, it turns out that it's the women authors who are often the ones giving us these fabulous characters to learn about. So thanks for telling us about Lydia - great post! Jamie, I didn't know about Lydia either! Great find. I love how you've weaved fiction and nonfiction together to illustrate facets of espionage. Great post, Jamie. 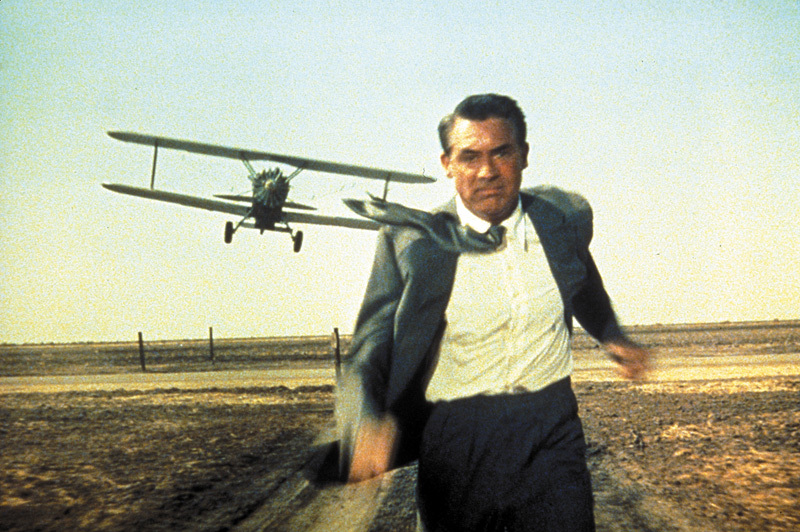 I loved North by Northwest! I didn't know about Lydia Darragh. Women rock!